The Schools provides an English Program. English Fluency means students can fluently communicate in English Language for learning and communication. Academic Excellence means students gain knowledge and apply their acquired knowledge to their daily living. Moral Enrichment means students will learn how to behave themselves and towards others. They will learn ethics and good morals. Wichai Wittaya English Program (WWEP) Nursery provides education to children from 18 months to 3 years old. At WWEP, we remain committed to bringing the highest quality early childhood education and care to our children and their families. We regularly update our curricula based on international standards and our children and families’ needs. Our daily activities develop reading and writing skills and introduce important literacy concepts. During the day, some of activities are designed to develop speaking and language skills in both Thai and English. Everyday class teachers focus on vocabulary development, teaching how to follow simple directions, identifying and naming familiar names in Thai. WWEP provides English lessons 9-10 hours a week by experienced foreign English teachers who will give early literacy skills to children. By singing, playing, drawing and similar activities, children will learn basic vocabularies and phrases. They will learn how to follow simple directions, identifying and naming familiar names. 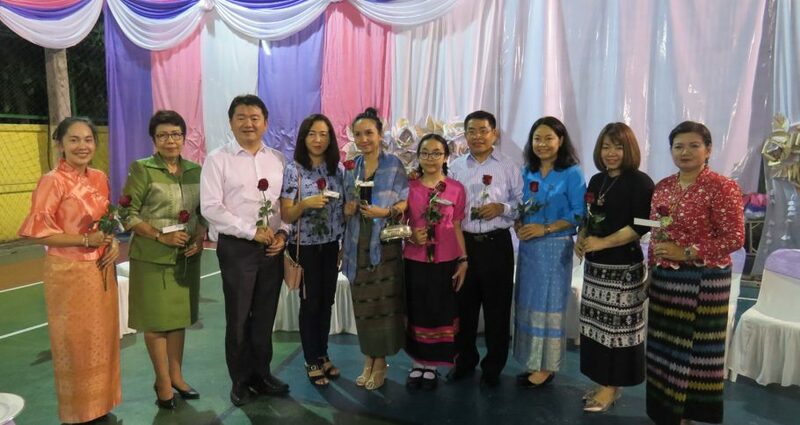 Wichai Wittaya English Program (WWEP) established its Kindergarten section in 2000. Currently we have about 150 children through Nursery to Kindergarten 3 and 13 Thai and foreigner teachers with 6 teacher assistants. English at WWEP is an interactive and fun experience. At KG, our focus is on speaking English as well as writing, reading and students cover all English skills comprehensively. Lessons encompass a mixture of Phonics, writing, role-playing, reading and listening. Teachers are very energetic and like to see the students take center stage during lessons. WWEP believes that happy teachers bear happy students and we like to generate an environment where students can freely socialize with their peers through games and activities initiated by the class teachers both Thai and foreign. Wichai Wittaya English Program (WWEP)’s Primary Section is following an English Program with the aim of Enhancing English language skills of students, as English is the most important international language used world-wide. To prepare our students for a better future, Wichai Wittaya English Program (WWEP) enrolls students who are willing to study in English Program through Grade 7 to Grade 12. WWEP is committed to generating students who are equipped with strong academic skills and universal moral values whom are highly needed by the society.